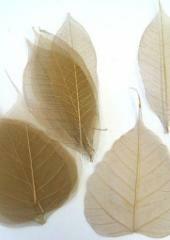 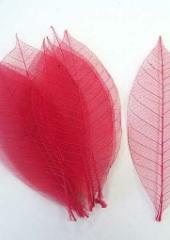 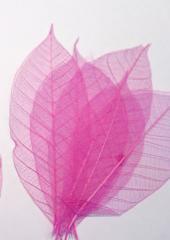 Each pack contains 10 leaves, 5 each of two types of leaves (rubber and bodhi tree). 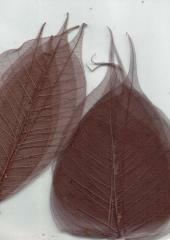 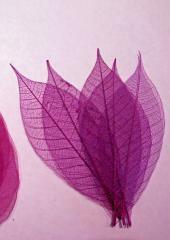 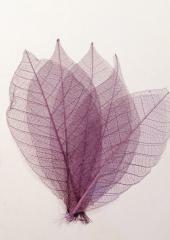 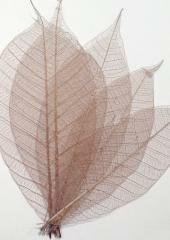 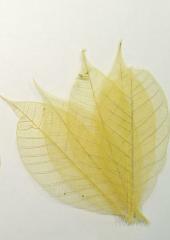 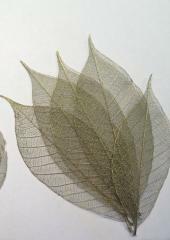 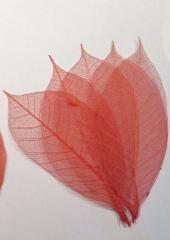 Skeleton leaves are real leaves that are dried and treated so that the epidermis is removed, leaving behind just the “skeleton” of veins, then dyed. 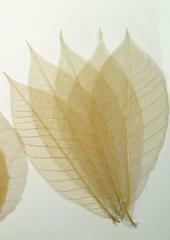 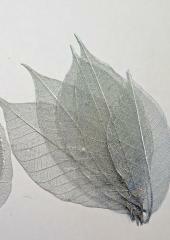 Whilst delicate in appearance, skeleton leaves are surprisingly sturdy and make wonderful additions to scrapbooking, papermaking, art journaling, gift wrapping, felting, fibre fusion and mixed media projects.